First impressions count, and unfortunately, 40% of consumers have been disappointed with their initial banking onboarding experience to the point where they abandon the process altogether. Banks have gotten complacent with their onboarding process. With so many changes in consumer behaviors, industry trends and technology offerings, it’s easy to put new client onboarding on the back burner. First impressions count. That’s why the client onboarding process that banks provide has to be good. If a client has a bad experience with your bank while they’re trying to become a customer, what does that tell them about the rest of the experiences they’ll have? In a competitive market, banks have a lot to lose if their first impression isn’t an impressive one. A new client jumping ship during onboarding is every bank’s nightmare. 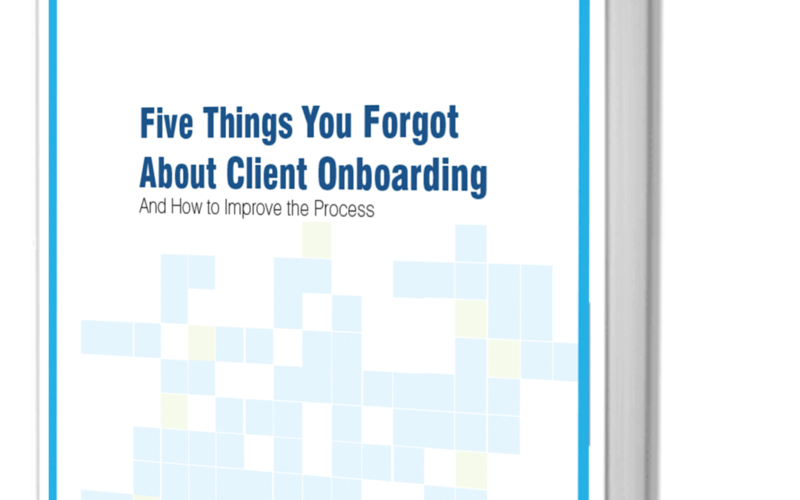 Studies show that clients abandon an onboarding process because it’s too long or cumbersome. When this happens, you waste valuable resources and lose an invaluable customer. Avoid client abandonment with these five essential tools and tactics.